Film director Sydney Pollack was one of America’s most celebrated filmmakers of his generation. Multiple Academy Award winner for “Out of Africa” (1985), and director and producer of more than 40 films, he also appeared as a character actor in several films, especially in the second half of his illustrious career. Well-spoken, very knowledgeable and an icon filmmaker of numerous excellent films to his credit who initially started as an actor in TV series in the 1950s, I met Mr. Pollack in October 1997 at the Ghent Film Festival (Flanders, Belgium) for a short interview. Later on, he directed two more films, “Random Hearts” (1999) and “The Interpreter” (2005), and as producer was involved in several other projects. Born Sydney Irwin Pollack in Lafayette, Indiana, in 1934, he passed away in May 2008 in Los Angeles at age 73 before some of his final projects as a producer, such as “The Reader” (2009) and “Margaret” (2011), were wrapped, edited and released. Prior to visiting the Ghent Film Festival, Mr. Pollack was in London to appear in Stanley Kubrick’s “Eyes Wide Shut”, playing the part of Vitor Ziegler, and then attended the Verona Film Festival. After leaving Ghent, he first went to Balboa, Spain, and finally returned to his home base, Los Angeles. Do you get ‘carte blanche’ when you’re making a film ? Carte blanche may be an exaggeration – when you say carte blanche, you mean I can do whatever I want? Yes, pretty much. I think so. 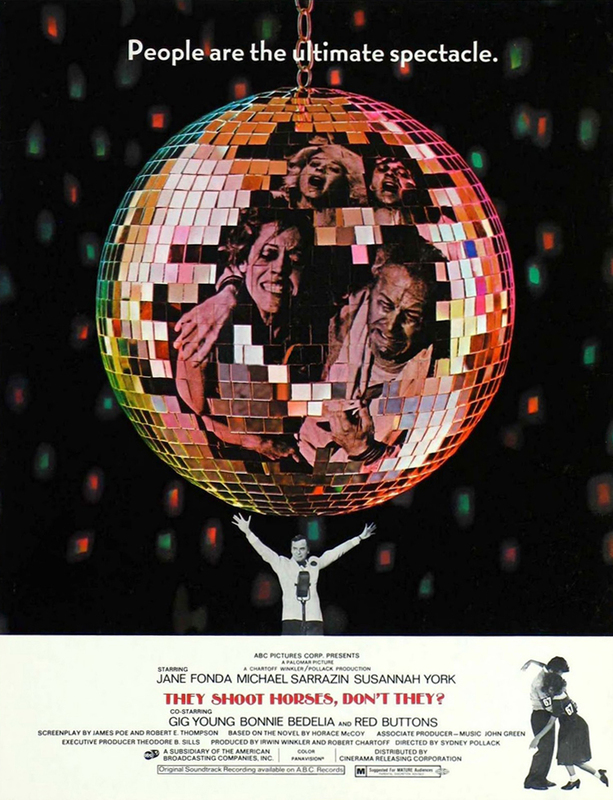 Some directors of your generation, like John Schlesinger and Arthur Penn, are not on the map anymore as they used to be in 1960s and 1970s, which is a tremendous loss. How do you explain that ? It’s a very sad thing in American cinema, it also happens in Italian and French cinema. We never know why some people remain in the spotlight and some people have a more difficult time. I have no explanation for it, it just happens that way. But you’re right, John Schlesinger is a marvelous director, he directed some great movies. What do you consider the highlights of your career so far ? I really don’t think of it that way. I just make them one at a time and it feels like suddenly I woke up one day and I had made ten or twelve or thirteen films. But I never think of that while I’m doing them, so I don’t know how to think about highlights. I’ve made seventeen films as a director now, the most successful ones you know, the ones that have been the most famous I think are “They Shoot Horses Don’t They” , “The Way We Were” , “Three Days of the Condor” , “Tootsie”  and “Out of Africa” . The critics also know films as “The Yakuza”  and “The Scalphunters”  – so I don’t know which are the highlights most necessarily, but those are the most famous ones. How do you look back to your debut feature, “The Slender Thread” ? Well, it was my first movie, I wasn’t working as well as I would have loved it. It’s not a movie I ever watch. It was my first movie, I was 28 years old, coming out of television and trying to learn. The performances by Sidney Poiter and Anne Bancroft are wonderful, but I was trying too hard to convince everyone that I was a movie director. So I suppose that, as a director, you really got started with “This Property Is Condemned”  and “They Shoot Horses, Don’t They?” ? I guess so. “This Property Is Condemned”  created a certain style and mood that have stayed with me in several films that I’ve done since then. “They Shoot Horses, Don’t They?”  was an enormously challenging picture: it all took place in one set, with the same activities over and over again, and it had to get slower because they got tired. I had three things that are a director’s nightmare: no visual relief from the set, no relief within the set in terms of the activity, and you couldn’t pick up the pace, it had to get slower, so I had to find other ways to pick up the pace. That was a challenge and it was a great learning experience. 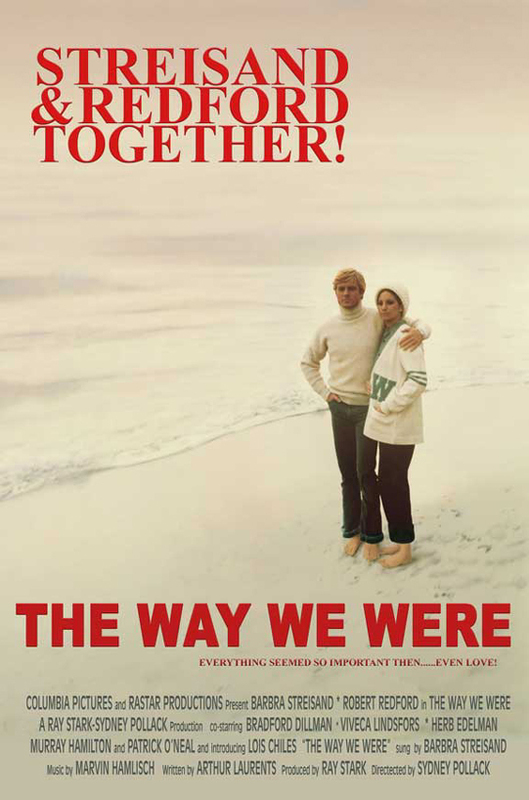 “The Way We Were”  was a drama set against the background of political activism and blacklisting. Are you political active? I’ve never been a politician but I have been very involved in politics as a supporter, as a fundraiser, sometimes working with candidates, their speeches and presentations. It’s almost impossible not to be in today’s age. I don’t run for office but I’m involved with politicians. You’d have to say I’m a liberal democrat. Have you got the ‘final cut’ and will you ever re-release a film of yours in a director’s cut version ? I have the final cut. They’ve asked me over and over if I want to rerelease a film in a different cut. You were asking about “The Way We Were”. If I would rerelease it with a director’s cut, then I would say: “You saw it!” I have film that I took out, but I wouldn’t want to put it back in. The same is true for “Out of Africa”. I got a lot of things I took out, but I like the cut better without them. “The Way We Were” and “Out of Africa” are two films with a very recognizable score and possibly your best scores, do you agree with that? They’re the most romantic and melodic from Marvin Hamlish on “The Way We Were” and John Barry on “Out of Africa”. They’re both big romantic scores so there’s a lushness to them. They’re kind a sweet. But I like other scores personally. “Havana”  is the best score to me, it won an Academy Award nomination [score by Dave Grusin]. That’s a terrific score, very Latin sounding with romance and lushness, adding a Cuban sound to it. It was very good. Hasn’t “Havana” been underestimated like Richard Lester’s “Cuba” ? I don’t know. Nobody liked the film when it came out. It was a flop, but I personally like it a lot. I think it is a good film. But that doesn’t count (laughs). My personal opinion about my movies is not what’s important. What is utterly important, is what the world thinks of it. At the time when it came out, “Havana” was not a popular movie at all. It had a few critics that liked it, that felt it was underrated. What’s your point of view towards the press? Those are the rules. It’s very difficult sometimes when you work very hard on something, you think it’s good and then it’s so easily dismissed. But I don’t have any right to complain. I can say to you it concerns me, but those are the rules. The press has often been very good to me and has also been very mean to me. Have you ever considered directing yourself in a leading role? No, I wouldn’t do that. I just finished “Eyes Wide Shut” with Stanley Kubrick. I don’t care much about acting, but it’s kind of interesting to work with directors like the ones I’ve worked with – Woody Allen and Stanley Kubrick. It gives me an opportunity as a director to see them at work, I like that. But it’s not something I would pursue. I’m going to play a part next month in the new film for John Travolta, being directed by Steven Zaillian, called “A Civil Action”. That’s fun, it’s a small part. But I’m not someone who pursues acting seriously. Lately you’ve been directing less than before, you’re more involved now as a producer. Is there an explanation for that? Yes. It’s just that I’ve had a tough time finding something that I want to direct. It takes me longer, partially because I don’t want to keep repeating myself, so the choices get less, and also partially because it’s a more difficult time now to make films. I couldn’t make “They Shoot Horses, Don’t They?” today, or “Jeremiah Johnson” or some of those movies. I would never be able to get a studio and make it. They’re looking for something different and it’s harder today for the kind of movies that I’ve been making. They‘re a little more conventional, they’re a little more traditional movies. I have never learned very much about special effects and big action pictures, so I don’t do that. I usually do relationship stories and those are a little harder to make. Do you take a lot of time to direct a film and do you need several takes? No, I don’t do a lot of takes. But that may be just because I’m lazy. I don’t have any firm conviction about it, I do as many as it takes to get it right. Sometimes the actors get it right very quickly and sometimes they don’t. Do you prefer a film project with an actor in mind or would you rather wait and see? Well, it works both ways. Sometimes I choose it with an actor in mind, sometimes, like with “Out of Africa”, you have to search for a long time. I thought about a lot of different women: I thought about Judy Davis, I thought about Julie Christie, I thought about Sigourney Weaver, a lot of different people before I actually had a long meeting with Meryl Streep and as soon as I met with her, I knew she was the right person. Or I felt she was – I had never met her before, I had seen her work but I didn’t know her. What’s the chemistry between you and Robert Redford ? We met each other when we were kids. We have certain things in common, certain points of view about Hollywood, about life and films, so we always got along pretty well. Then our respective wives met each other and got along, the kids met each other and got along. The families have been close over the years. We spent a lot of our holidays at Sundance where we had a house for 25 years. It’s been good for me to work with somebody I know so well. I think it’s comfortable for him to work with someone he’s comfortable with. I think we do good work together and have done good work over the years. I guess it’s like Scorsese and De Niro. A lot of people admire you and your work, who are the directors that you’ve admired over the years and looked up to when you started out? When I was first beginning to direct, the directors that I most watched, were the European directors, you know, Federico Fellini, Michelangelo Antonioni, Ingmar Bergman, those people, but also George Stevens, Elia Kazan, Fred Zinnemann, William Wyler and Billy Wilder. They were still working in the early sixties. But by the end of the sixties, Kazan wasn’t doing much anymore, he did a film with Kirk Douglas [“The Arrangement”] based on his own book in 1969 when I was shooting “They Shoot Horses, Don’t They?” He was working on the next stage to me at Warner Brothers. By the seventies they weren’t working very much, those guys. Your generation had taken over? That’s right, that’s what happened. By the middle of the seventies, the new directors were mostly my age, so there was a new generation, you’re right. Are you nostalgic about the old Hollywood and its studio system or do you think independence is the answer? Well, I got there too late to be a part of the studio system, the studio system was nearly finished in the late 1960s when I started directing movies. But I am nostalgic for the kind of films that we used to make and that we don’t make much anymore. Those have all gone to television or to independence – the sort of standard B movie that Hollywood was famous for over the years. We’re trying so hard now to make some kind of sensationalism in movies to make bigger and bigger explosions, to make bigger and bigger productions and bigger and bigger special effects. I don’t think we’re as focused on classical stories as we were used to be and I miss that. 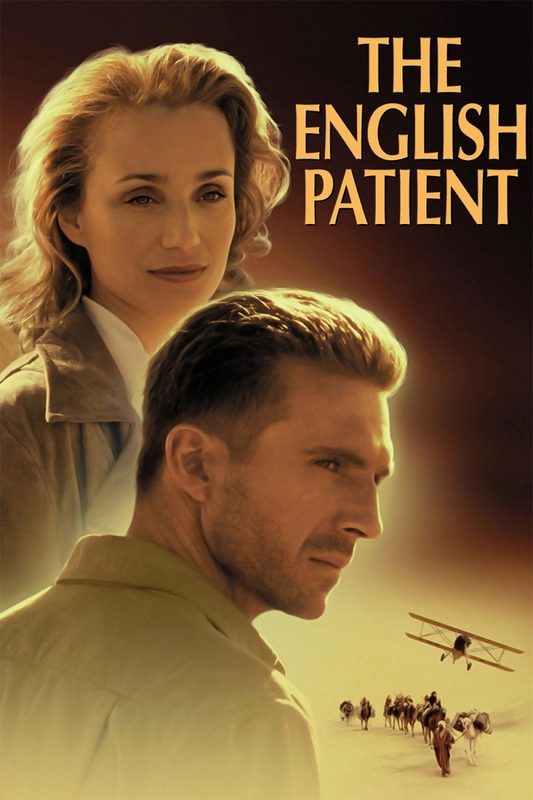 But otherwise, you know, I think there’s still some very good movies made, some of them still very traditional, like “The English Patient” , films like that. It’s a kind of a throwback. 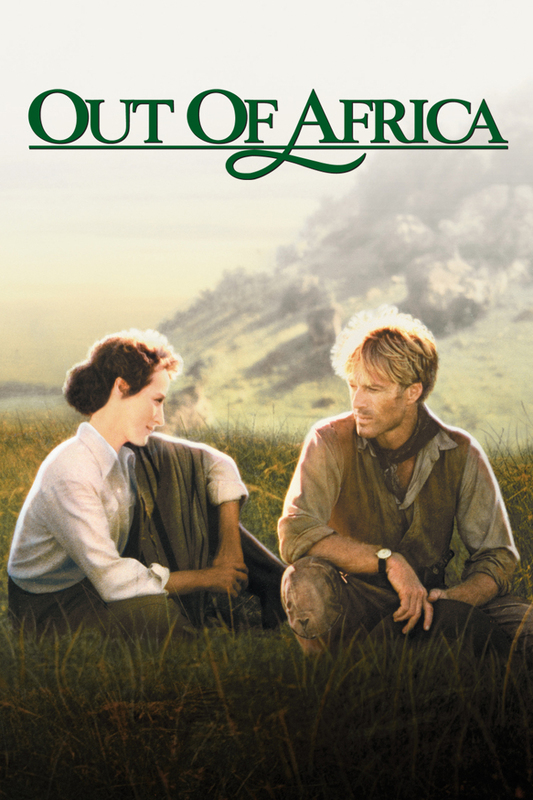 Most of your films, like “Out of Africa”, belong in that same category, don’t they? Initially it surprised me, but later on I was delighted that you decided to do a remake of Billy Wilder’s “Sabrina” . Yeah, it surprised everybody, I probably shouldn’t have done it, but I did (laughs). I liked the idea of trying to do that film and update it to the 1990s, but obviously I made a mistake. Well, I made mistake in terms of the critics and the people, cause they were angry – they loved the original so much. I saw the old movie and I liked it, but I wasn’t madly in love with it. I didn’t think it was Billy Wilder’s best movie by a long shot and I thought in many ways it was silly. I wanted to try and make it like the nineties instead of the fifties and I was also an enormous fan of Harrison Ford. I loved him in “Witness”  and in movies like “The Mosquito Coast”  where he doesn’t have to punch everybody. And I wanted to work with him that way, so I did. Would it be correct to describe your films as enriching and high-quality entertainment with a personal interest in human relationships? I wouldn’t say that, but I’m very happy that you do, I don’t know what to call them. I don’t know what the label is. I think I’ve mostly done traditional genre films. And several of the classics are traditional genre films. Yes, yes, like you said, I like to do character driven stories about people and relationships. That’s what I always try to do. Sometimes they’re in the form of thrillers, or Westerns or something else, but they’re usually very much about characters. With the exception of “Three Days of the Condor”  and “The Firm” , my films are not heavy plotted. “Out of Africa”  has no story, “The Way We Were”  has almost no story, they’re just about what happens to two people over a period of time. Every once in a while I get a very strong plot, like “Three Days of the Condor” or “The Firm”. But even then, what I try to do is work very hard to make them about the characters. + Mr. Pollack passed away on May 26, 2008, at age 73, in Pacific Palisades, California, as a result of stomach cancer. Posted in Director-producer, Film Talk and tagged A Civil Action, Anne Bancroft, Arthur Penn, Billy Wilder, Cuba, Dave Grusin, Elia Kazan, Eyes Wide Shut, Federico Fellini, Fred Zinnemann, George Stevens, Harrison Ford, Havana, Ingmar Bergman, Jeremiah Johnson, John Barry, John Schlesinger, Julie Christie, Kirk Douglas, Margaret, Martin Scorsese, Marvin Hamlish, Meryl Streep, Michelangelo Antonioni, Out of Africa, Random Hearts, Richard Lester, Robert De Niro, Robert Redford, Sabrina, Sidney Poitier, Sigourney Weaver, Stanley Kubrick, Sundance, Sydney Pollack, The Arrangement, The English Patient, The Firm, The Interpreter, The Mosquito Coast, The Reader, The Scalphunters, The Slender Thread, The Way We Were, The Yakuza, They Shoot Horses Don't They?, This Property Is Condemned, Three Days of the Condor, Tootsie, Warner Bros., William Wyler, Witness. Bookmark the permalink.